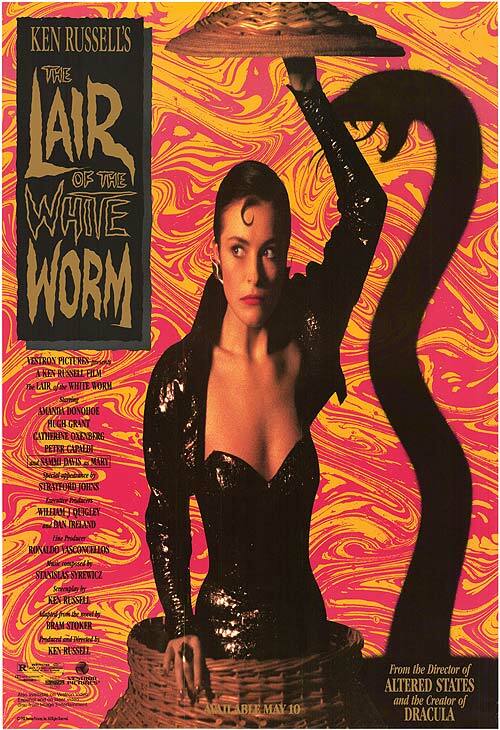 Boy is this poster not a good representation of the film. 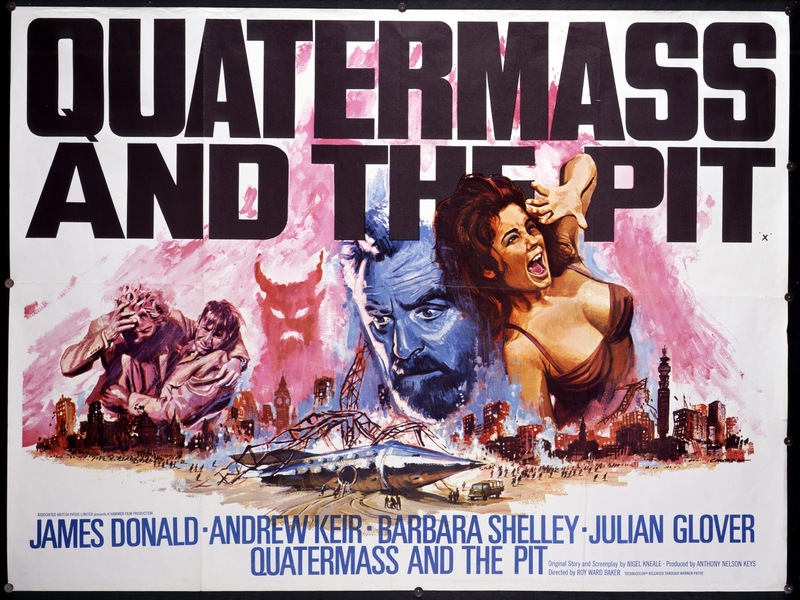 So, I’m watching Quatermass and the Pit, the 1967 Hammer Films remake of the classic 1958-9 television serial written by Nigel Kneale. 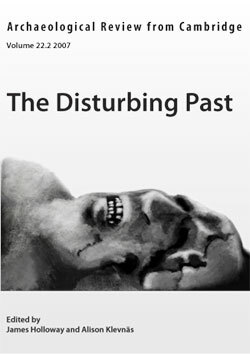 As you are probably aware, this is not really a historical film, but I think that it’s relevant to the themes of the blog — particularly, I think it demonstrates some of the dangerous archaeology that I have referred to earlier in terms of the work of HP Lovecraft. (If you’re interested in me talking about archaeology in Lovecraft, I might write up my HPL talks as a longer piece one of these days). Anyway, the story is a familiar one. 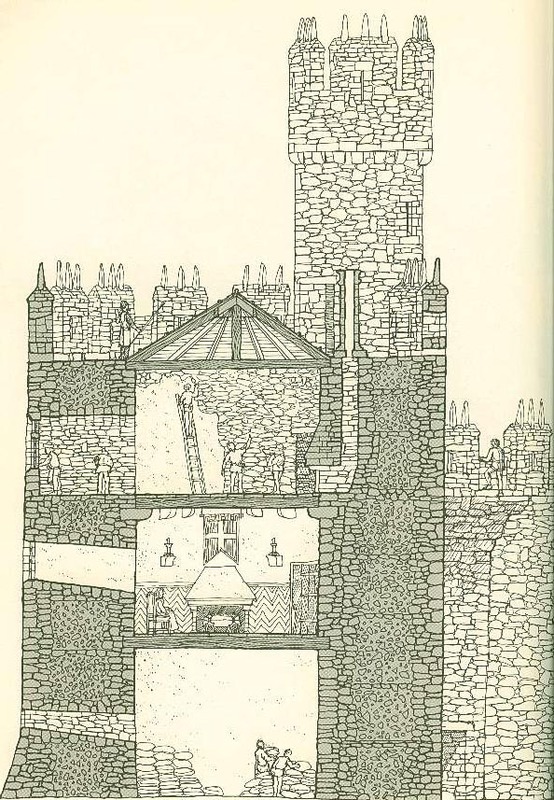 Excavations for an Underground line reveal skeletons — happens all the time in reality. But these skeletons are a little weird: the press describes them as “underground ape men,” and they have some very unusual skulls. In another neat touch, when a metal object is found along with them, people assume it’s an unexploded bomb — as we’ve recently seen, this isn’t implausible. Meanwhile, amidst all these reminders of man’s inhumanity to man, Professor Quatermass is being prosed at about the need for military moon bases by the army. He and military rocket expert Breen (sp?) get called in to take a look at the metal object, which, it gradually becomes clear is some kind of spaceship. 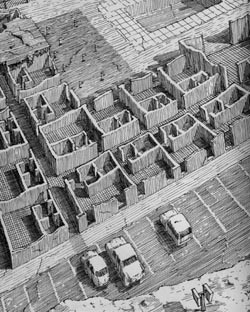 Simultaneously, it becomes clear that there’s something off about the whole area — people have always been frightened of it. I think the most interesting thing to me here is the way in which the story blends the pseudo-science of a Von-Daniken-like ancient alien thing and the traditional horror of a series of haunted-house incidents. In a way, it reminds of the way Ring 2 doubles down on its psychic pseudo-science, only a) obviously this came first, and b) less personal. 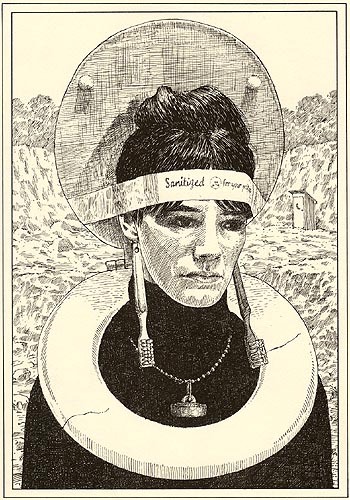 I saw goody Quatermass raisin’ fundamental questions about human nature! 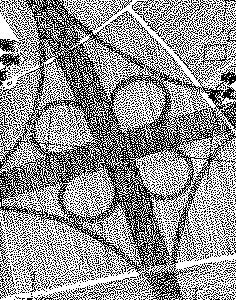 Archaeologists are portrayed as detectives, but also transgress the above-/under-ground boundary. They “bring the past to life” — in education, this is good! But in archaeological horror, it’s usually a bit more literal. Now, in a way, I think that’s actually closer to what frightens people about what history reveals. Not that our past isn’t what we thought it was, but that it’s exactly what we thought it was, and we’re brutal, stupid, hate-filled monsters, doomed to repeat the same petty, vicious dramas forever and ever. As it happens, I don’t think that’s actually the case — I think (say it with me) it’s more complex than that — but I feel that tug just like everyone else does. Also, the final shot — the two surviving main characters standing at opposite sides of the screen, unable to talk to or comfort each other, barely even able to look at each other — is pretty baller. Also, Julian Glover is in everything. 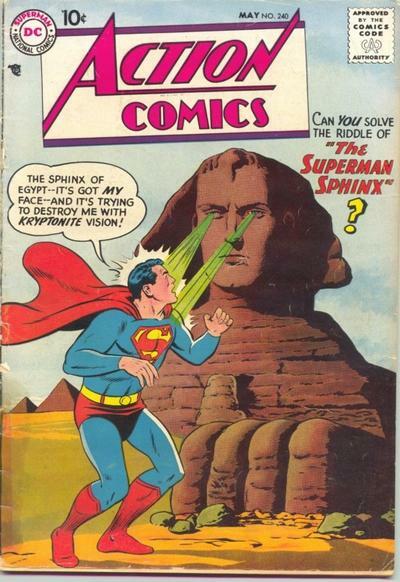 I have written in the past about superheroes and archaeology, largely inspired by the papers given at the Monstrous Antiquities conference back in November. 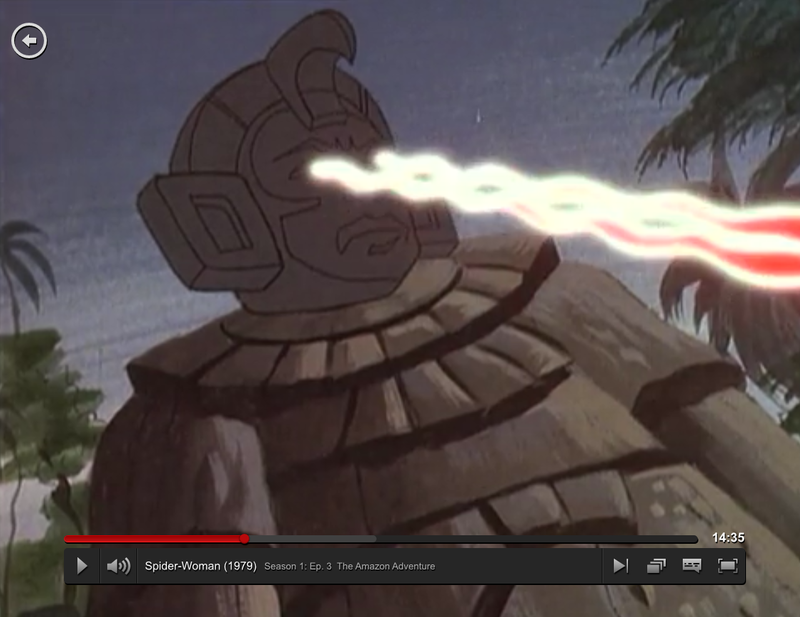 Today, I just want to point out that there is a surprising amount of archaeology in the 1979 Spider-Woman cartoon … or, well … sort of. 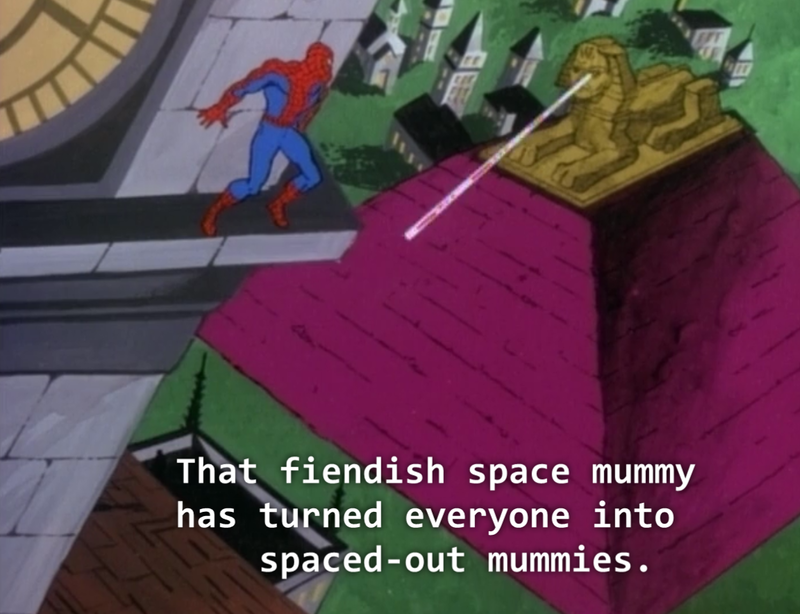 I don’t know if you’re familiar with the Spider-Woman cartoon, but it seems to have been largely an attempt to cash in on the popularity of Wonder Woman, right down to the spinning transformation, here called a “spider-spin.” And yeah, you know you’re back in the olden days when Marvel is trying to cash in on a DC property. 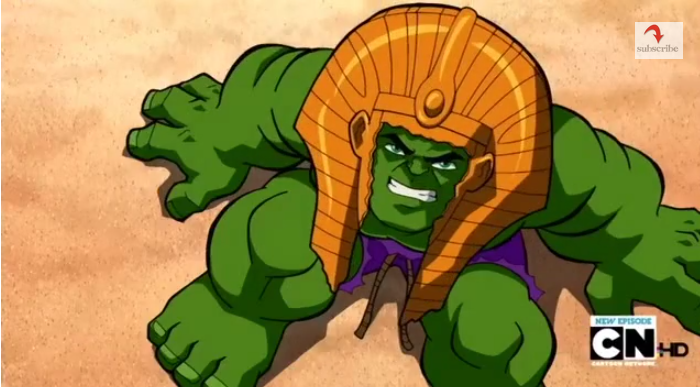 Anyway, the cartoon basically resembles what you’d get if you got one of the less grounded Bronze Age creators (poor old Bill Mantlo, perhaps, or maybe Bob Kanigher (I may mean Bob Haney)) and just fed them an absolute shitload of cough syrup and told them to have at it, oh, and to try to work in something educational to satisfy the FCC. 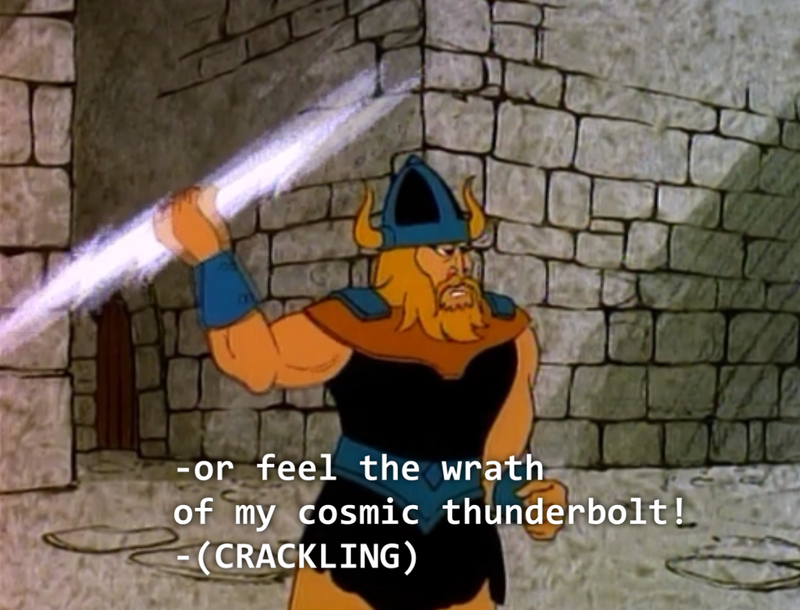 Maybe the easiest way for you to see what I mean about this show’s bizarre mix of earnestness and foolery is just to watch an episode. 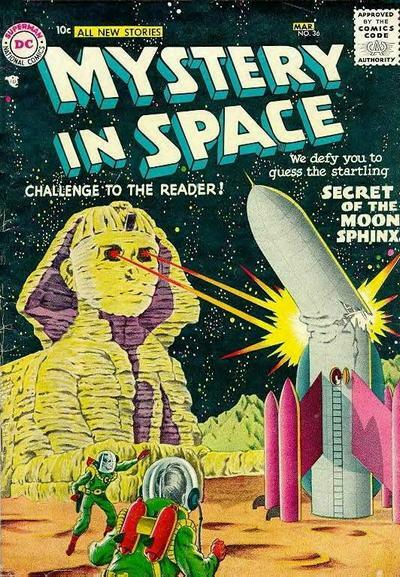 It turns out, right, that these mummies came from space in their pyramid ships and were buried under the sands of Egypt lo these many years ago, and I guess they inspired ancient Egyptian culture, because why not? 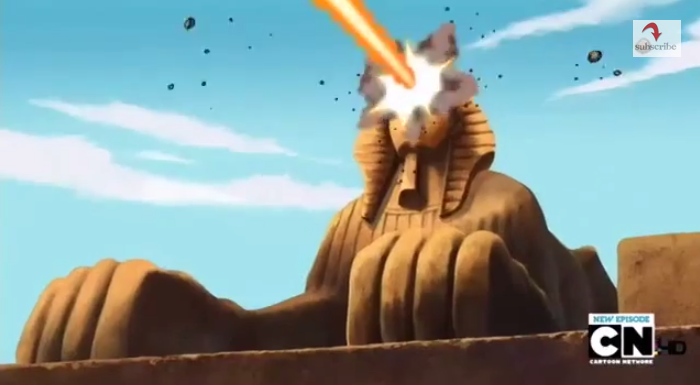 The classic motif of the Sphinx shooting beams out of its eyes is gone one better here — not only does it have eyebeams, but if the beams hit you, they turn you into a mummy! 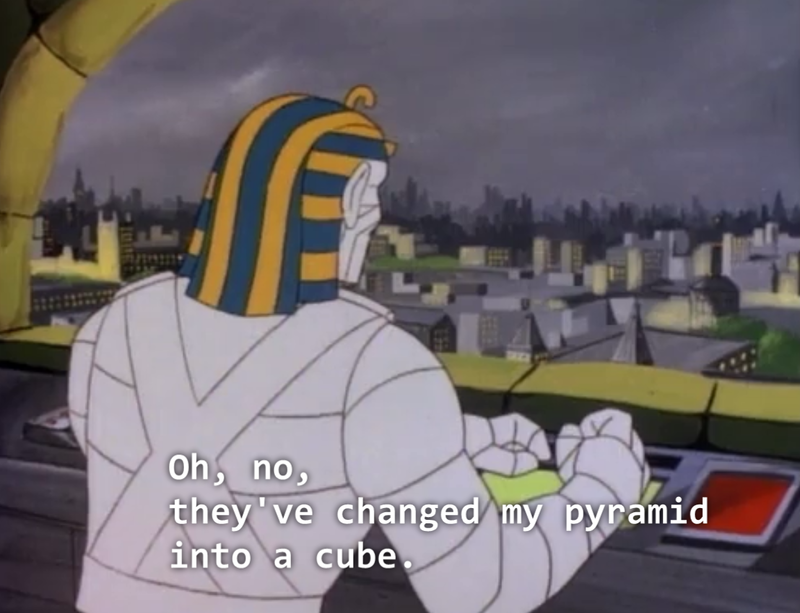 Eventually, Spider-Woman realises that the motive force behind the alien spaceships is, no fooling, Pyramid Power and uses her webbing to turn the lead ship into a cube. So this is all well and good, but what’s weird is that it keeps happening. 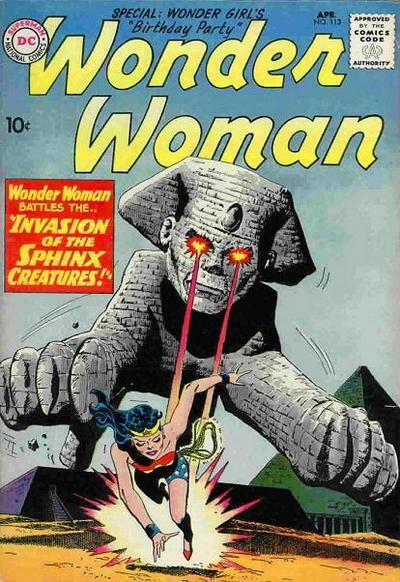 Spider-Woman is a very globe-trotting sort of heroine, and she winds up in contact with a lot of past-type stuff. 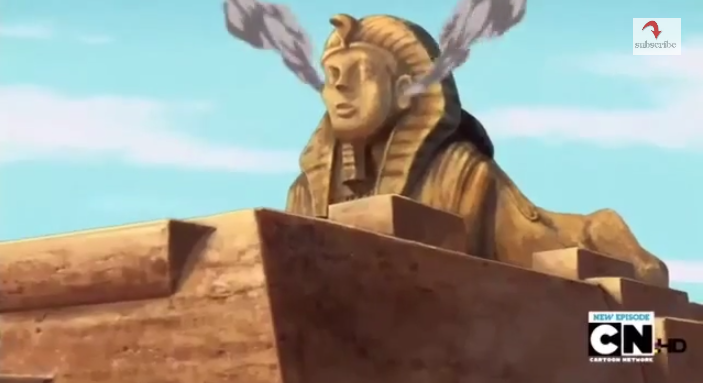 Seriously, I think the statue:eyebeams ratio is about 1:1. And there’s a few more temples and castles as well. 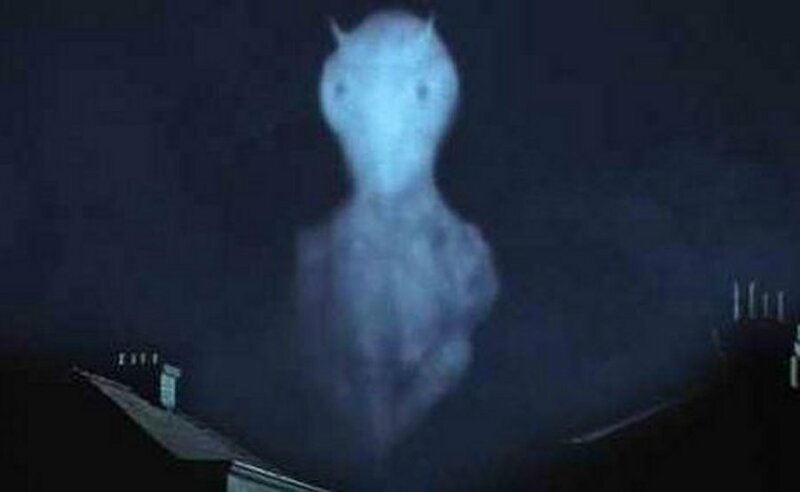 Apparently it all gets a bit more UFO-y in the later seasons, but I’m not there yet. 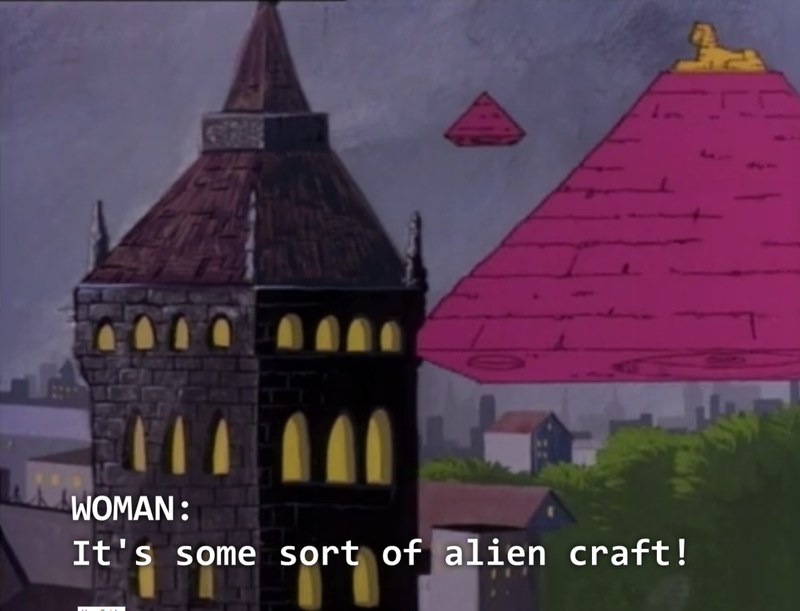 I really just wanted to share that mummy episode with people because, you know, pink pyramid spaceship with sphinx-shaped mummy-ray turret.